This guest post comes from my sis, the Kitchen Kween and my niece, Abs. If you ever get invited to their home, go. The food alone will be worth the trip! KK and Abs teamed up to share one of their family’s favorites. This is the version Munchie would make — it’s spinach-free! Having been married to a Polish man for 22 years, I am always looking for a way to put a new spin on his childhood favorites. 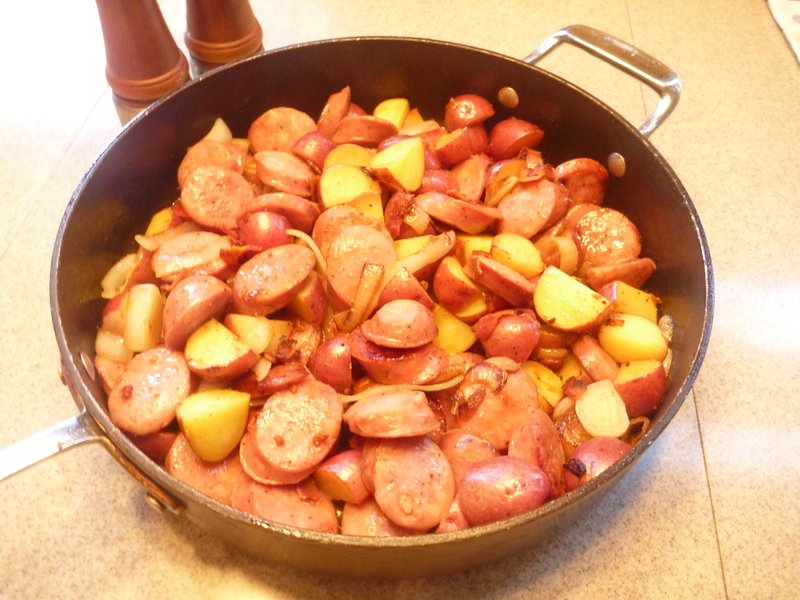 When I saw this dish which uses a Polish staple – Kielbasa – I knew I had to give it a try. What a surprise! It went together quickly with little fuss, and didn’t use any “weird” ingredients I didn’t already have in my pantry. Click for recipe. We polished (or is that “Polish-ed”) off the entire skillet in about 10 minutes!! 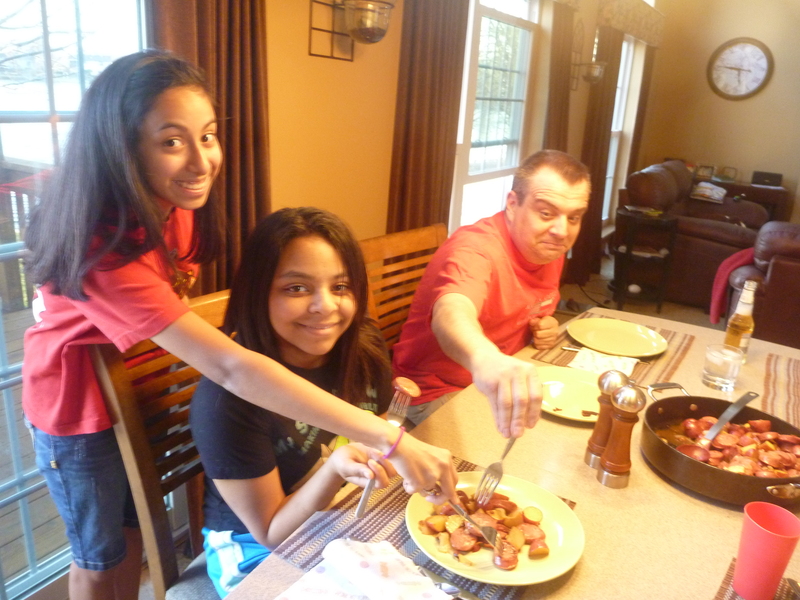 Surprisingly, the girls LOVED it, and even my husband had to admit that it was pretty darned good! The sauce reminds me a bit of the dressing used on a Spinach salad, but compliments the sausage and potatoes perfectly. We have made it both with and without the spinach (depending on if I remembered to pick it up at the market or not!) Either way works, but I prefer to sneak the leafy greens in when possible! This has become a staple in our house, although I usually have to DOUBLE the recipe to make sure we all get enough! We’re sure you will love it too! Looks good but make sure to get quallity sausage because what one can buy at supermarkets generally have lots of preservatives and don’t actually taste right. There is also different kinds of sausages such as wiejska (country), kabanos (thinner sausage), domowa (home style), and more. Polish stores generally have fresh sausage so I would recommend buying there if there is one locally.